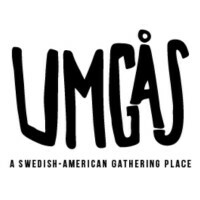 The Umgås team had a dream come true when we got a sneak peek of IKEA’s newest store in Norfolk, Va. Yes, it was a completely empty IKEA to peruse to our heart’s content, and yes, we did get boxes of cinnamon buns on our way out. Truly a day to remember. The store opened April 10, and The Virginian-Pilot reports that a whopping 2,150 people came through the new store in the first hour of its opening. Here are some facts and stats about the new IKEA, aptly located at 1500 Ikea Way in Norfolk. IKEA Norfolk is the second store in Virginia and the 50th store in the United States. It’s the first store in the United States to sell ceiling fans. The store manager is Charlie Plisco, who leads a team of more than 270 employees. The bi-level, 331,000 square-foot store is on 19 acres and offers 935 parking spaces on-site and boasts 42 room displays, four model home interiors and 10,000 products. 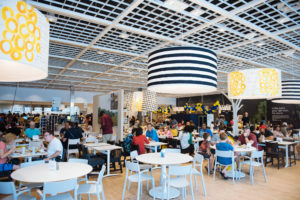 IKEA Norfolk has a 354-seat Restaurant, Bistro, Swedish Food Market and Staff Cafeteria. The restaurant opens 30 minutes before the store and serves $2 breakfast. Family-friendly features include a supervised children’s play area (Småland) for children who are 37-54 inches tall, baby care rooms, strollers and, in the restaurant, a children’s menu, organic baby food, bibs and a microwave for warming bottles. Continuing the company’s commitment to renewable energy, IKEA installed solar panels atop IKEA Norfolk. The 180,000-square-foot rooftop solar array is the largest in Hampton Roads and will produce approximately 1,743,000 kWh of electricity annually for the store. IKEA Norfolk also is equipped with three Blink® electric vehicle charging stations. And probably the most important fact of them all: Globally, 2 million meatballs are eaten at the 313 IKEA stores daily! 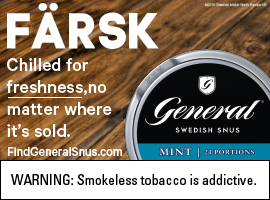 So, grab your FRAKTA bag, and run, don’t walk to IKEA Norfolk (or your closest IKEA).